I was bored recently and had some left overs in the fridge so decided to make some pesto with a twist. 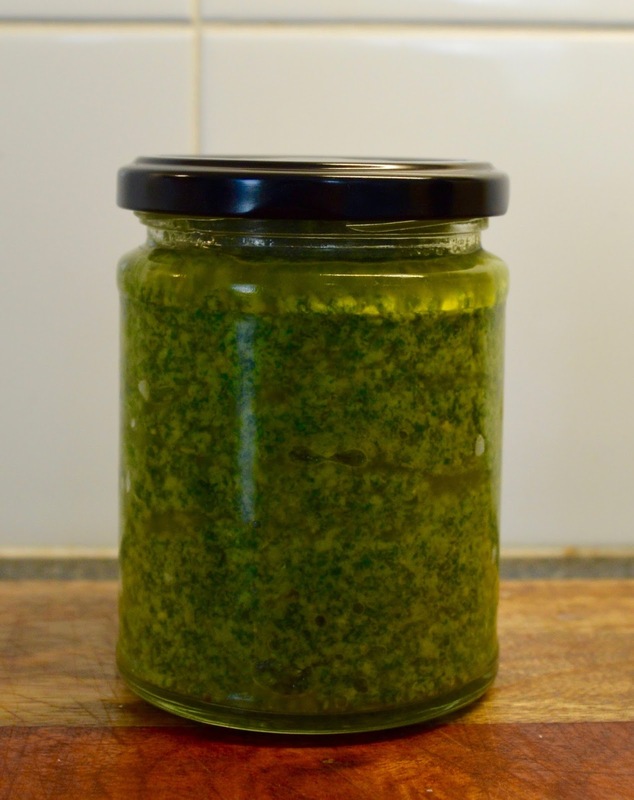 I dusted off my food processor (which I should use more often for sauces and pastes) and made a rocket pesto with rocket, pine nuts, garlic, cheddar cheese and rapeseed oil. 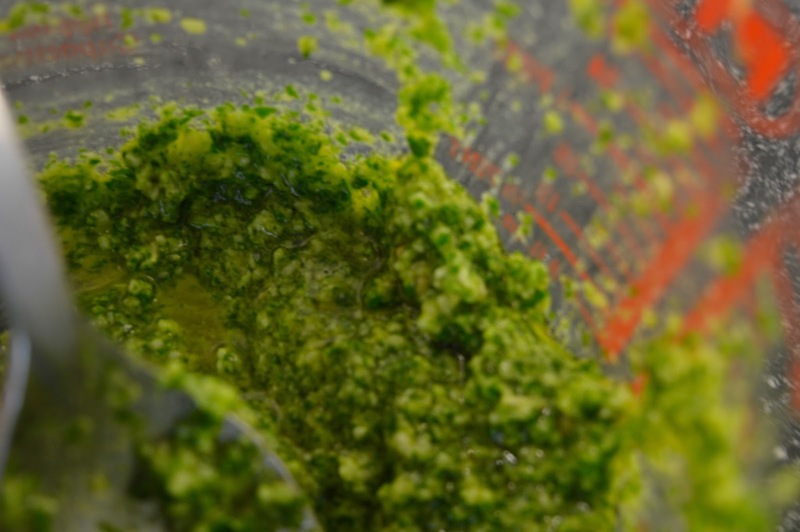 Pesto is really easy to make as you just put all of the dry ingredients into the food processor and once it's all chopped up start adding the oil slowly until it combines into pesto. Now that I had some delicious home made pesto I needed something to do with it. 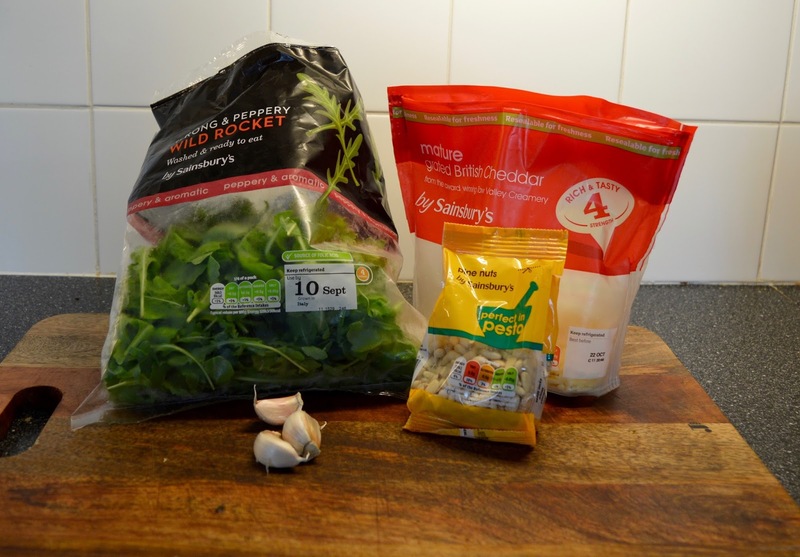 So I asked on Twitter and Facebook (you can follow me here and here) what you be a good pesto recipe as I usually have pesto with pasta, chicken and mangetout (which is amazing by the way) but I wanted to try something different. 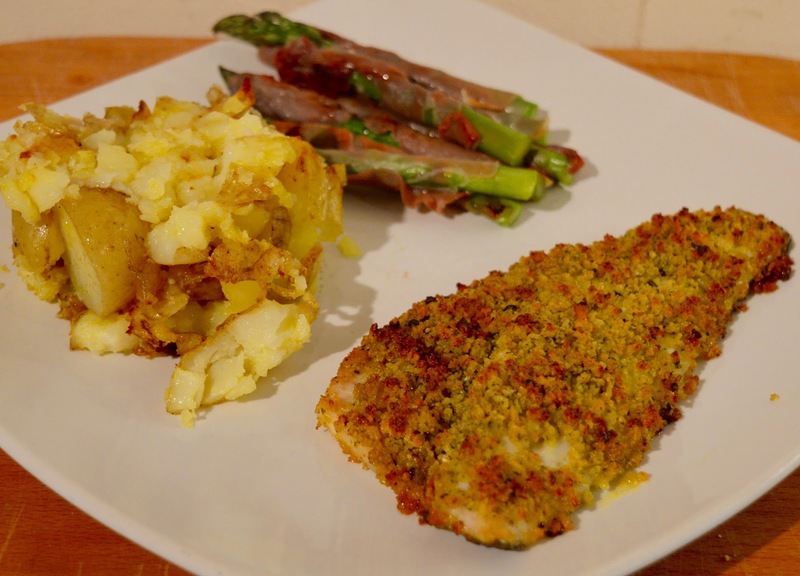 The dish I decided on was this, Pesto crusted Sea Bass with Roast New Potatoes and Asparagus wrapped in Parma ham. 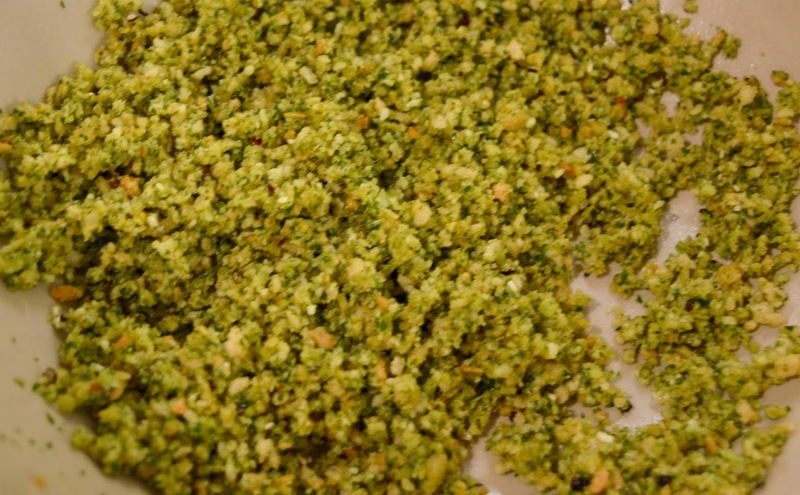 Add the Pesto to the breadcrumbs and mix it with your fingers until it is combines in bready pesto-y goodness. 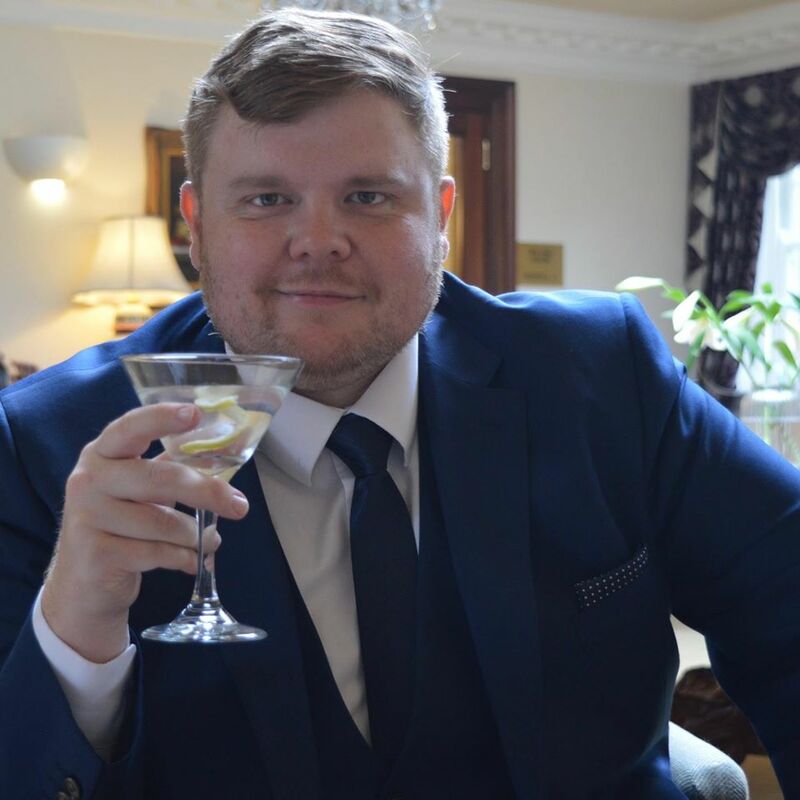 Divide this in two and and put it on the flesh side of the sea bass fillets. 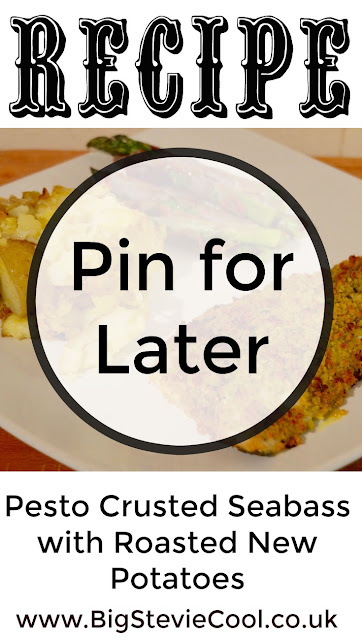 Put the fillets on a plate and leave in the fridge while you do the potatoes. Chop the new potatoes in half and boil them in a pan for 5 minutes. 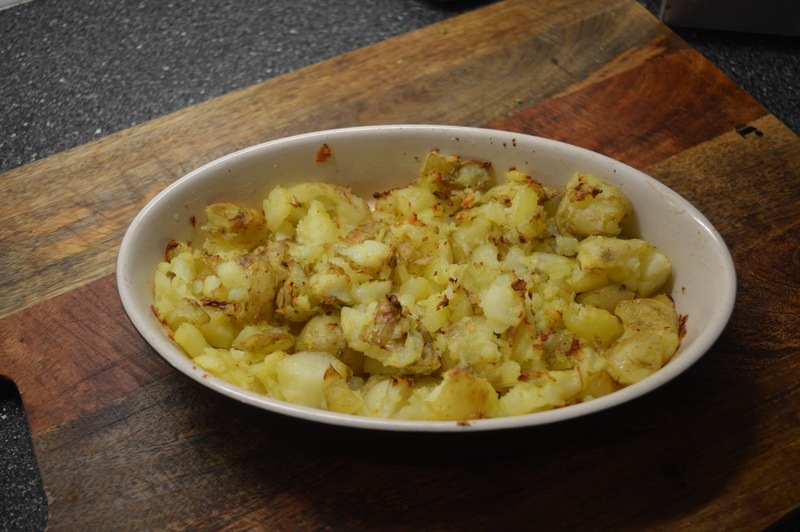 Next grease a roasting tin and add the boiled potatoes. 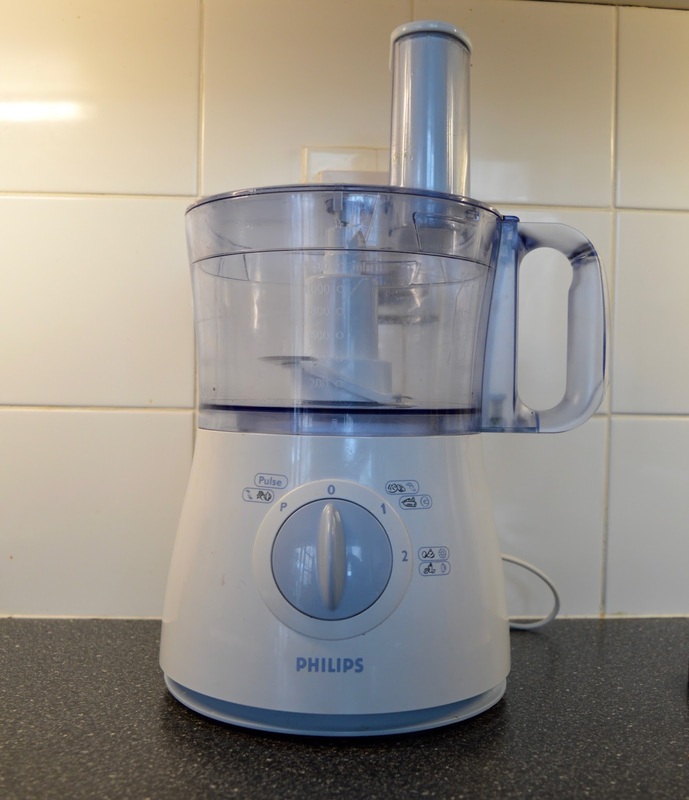 using a masher, lightly mash the potatoes so they are just slightly crushed and put them in an oven at 200ºc for around 25 minutes or until the edges are starting to brown. 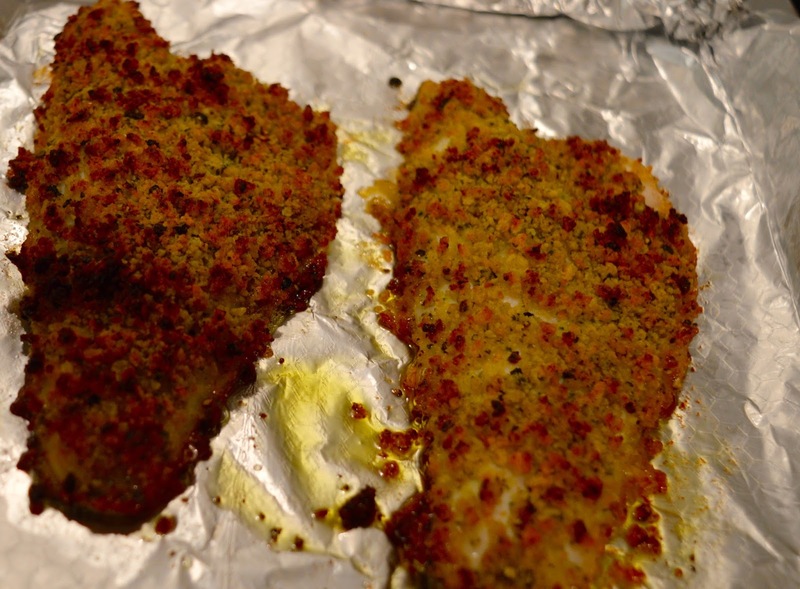 Next take the sea bass out of the fridge and fry it skin side down in a hot pan until the skin goes crispy. Then transfer the fillets to a baking tray (or leave them in the pan if your pan is oven proof) and put them in the oven with the potatoes for the last 10 minutes. 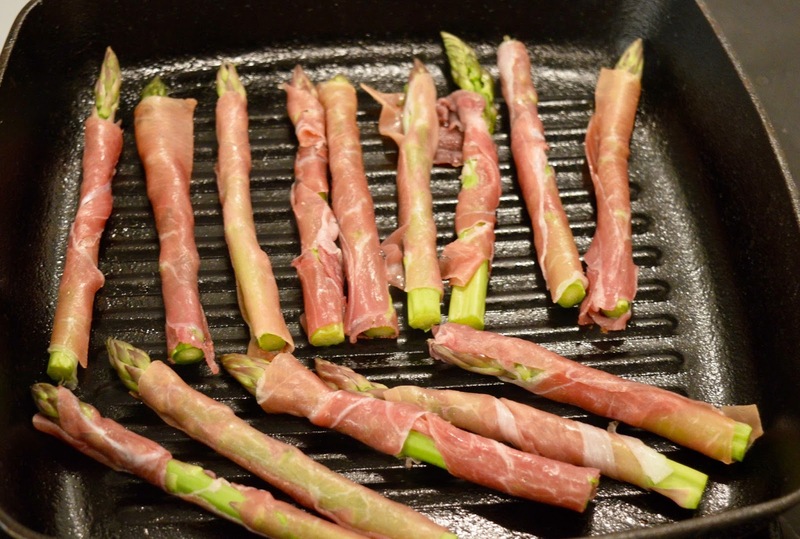 Whilst the fish and potatoes are in the oven you can wrap the asparagus spears in the parma ham and then cook them in a hot griddle pan. The asparagus should only take a few minutes on each side and then everything will be ready to serve. 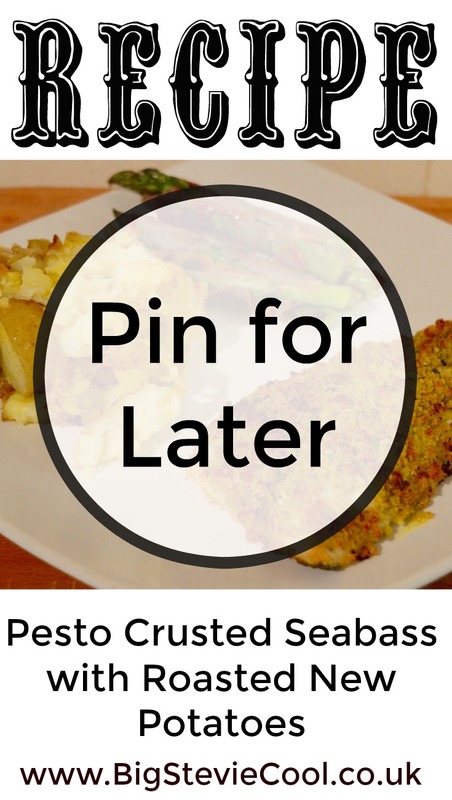 You've given me the Monday Munchies with this recipe Steve... pesto crusted fish has long been a favourite of mine, especially if the pesto is gorgeous and home made! The Walking Dead Season 7 Episode 2 "The Well"